S P A C E W A L K E R is the timeless uniform for the moment we first realized our world is space and space is our world. No privileged location. No privileged gender. S P A C E W A L K E R is the human uniform. Locations in space are defined by temperature and pressure. S P A C E W A L K E R uniforms the human body for conditions experienced at earth's surface and other locations in space. 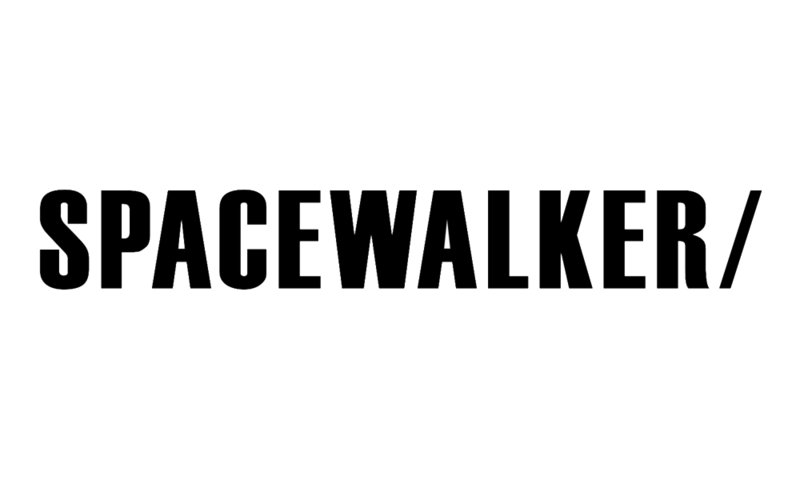 S P A C E W A L K E R was created by CHRISTINE CORDAY in collaboration with BARRETT BARRERA PROJECTS. Christine Corday engages a materials practice as an artist with the evolving human scale of perception and fundamental forces. 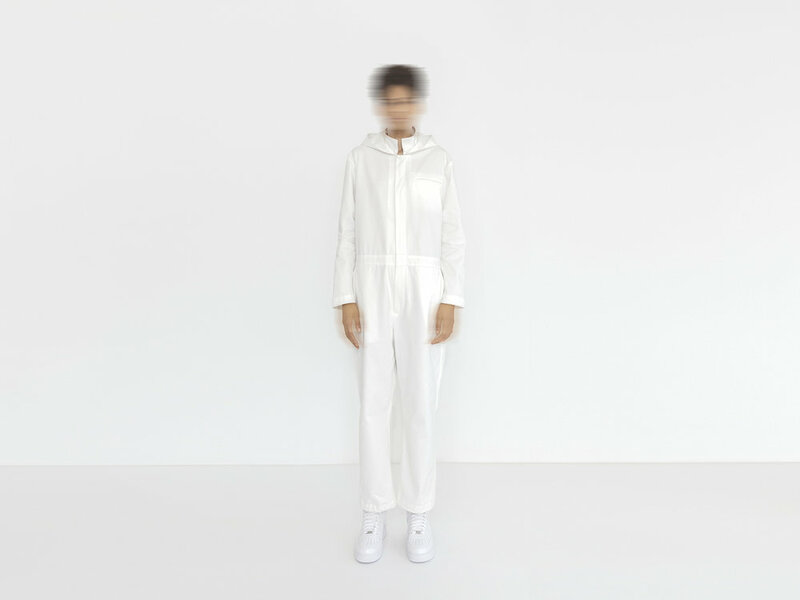 She works with temperature, material states, elemental metals as well as creates further medium often in artist-led collaborations with international scientists and science organizations. In solo exhibitions, Protoist Series: Selected Forms, Los Angeles County Museum of Art (Los Angeles, CA; 2015), UNE, High Line (New York, NY; 2008) and Relative Points, Contemporary Art Museum Saint Louis (Saint Louis, MO; 2019) works suspend between material states provoking more conscious moments between sensory stimuli and definition. Corday's compositions are materially informed and informing; allowing awareness of perceptual bias as well as broadening sensory engagement with touch and the indexical register of memory on their material surfaces. Other works explore the intimacy of shared public surfaces in range of measurement from the commissioned 25,000 pound GENESES (San Francisco, CA; 2018) to the several gram work UNTITLED (Saint-Paul-Lez-Durance, France; 2020). Following an astrophysics internship at NASA/SETI (Moffett Field, CA; 1991), Corday created Foundation Civilization (Seville, ES; 2000) for projects exploring the intersections of Art and Science such as Instrument for the Ocean to Play (2001). In Spain, Corday formulated a black pigment color later selected by Architect Michael Arad as the touch-focused color for the National September 11 Memorial (Ground Zero, NY; 2011) which Corday and an assistant applied by hand through a heated application. Corday founded her work studios in Tokyo, Japan (1999-2000); Seville, Spain (2000-2004); Greenpoint, Brooklyn (2005-2008); and Hudson Valley, New York (2008-Current). Corday was nominated for the United States Artist Fellow in 2016. Her work is awarded grants by Pollock-Krasner Foundation as well as from National Endowment for the Arts; Robert Lehman Foundation and Lannan Foundation for her solo museum exhibitions. As Design Director for SPACEWALKER Todd Thomas draws on over 25 years of experience within multiple aspects of the arts, fashion and entertainment systems. Possessing a holistic understanding of how art and design have not only the ability to delight us aesthetically but also to function as an economic engine and socio-cultural force that improves lives, Thomas works with leading figures in all three industries to identify the current climate and long-term needs of each. With a keen understanding of the current cultural zeitgeist, Thomas implements his expertise in the development and completion of creative projects from inception to execution and disbursement. Additionally, in his capacity as Senior Director of Barrett Barrera Projects’ New York Office Thomas contributes to product development, branding, curatorial special events and promotional strategies for new and existing Barrett Barrera projects and artists. Recent projects include Charliewood New York, Charliewood Art Basel 2016, and Paul Soileau (aka CHRISTEENE) + PJ Raval Artist Residency featuring Justin Vivian Bond. Thomas also teaches as an adjunct professor at the Parsons School of Design and as a Career Mentor for L.E.A.P. at the Ali Forney Center. Barrett Barrera Projects (BBP) is a cross-disciplinary group of originators who are redefining art experiences and culture. BBP sees art where others see separate disciplines and push boundaries to explore the continuously expanding spectrum of art forms.